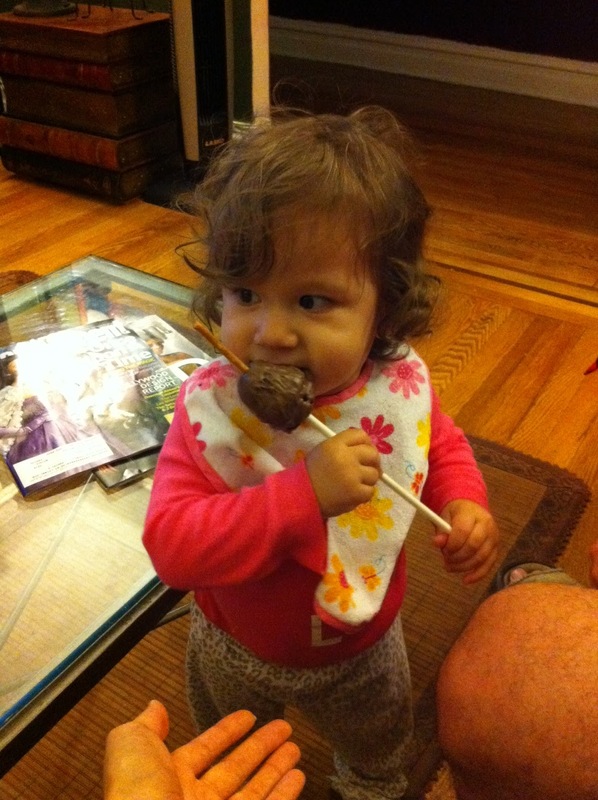 I decided I was going to bake some brownie pops for Halloween. Having a child has really inspired me to get into the kitchen more than I could have ever imagined. I want to make her delicious meals. I want to bake her yummy treats. As Halloween approached, I just knew I had to make her something special even if she had no idea what it was or would ever remember it (she’s 16 months old now). I went into my local Bed Bath & Beyond and purchased a brownie pops kit by Wilton. 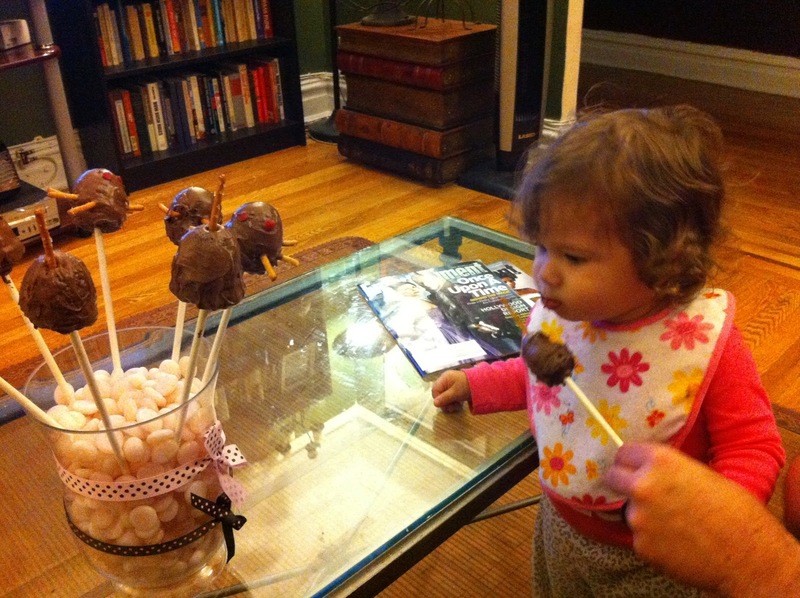 I practiced the Monday night before Halloween (as we waited for Hurricane Sandy to hit NYC) making a batch of not-so-pretty but still delicious brownie pops. 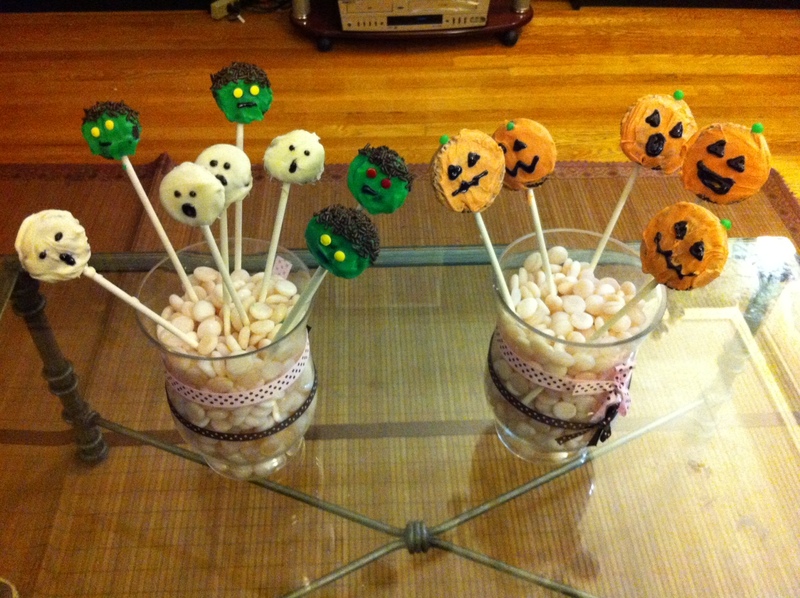 I covered them in chocolate, added some candy eyes, a few sticks of pretzels in them and called them “spooky spiders”. Catalina devoured them (once she figured out they were meant to be eaten). On Halloween afternoon, I went into my kitchen for the real show. The outcome? Not too shabby if I do say so myself. 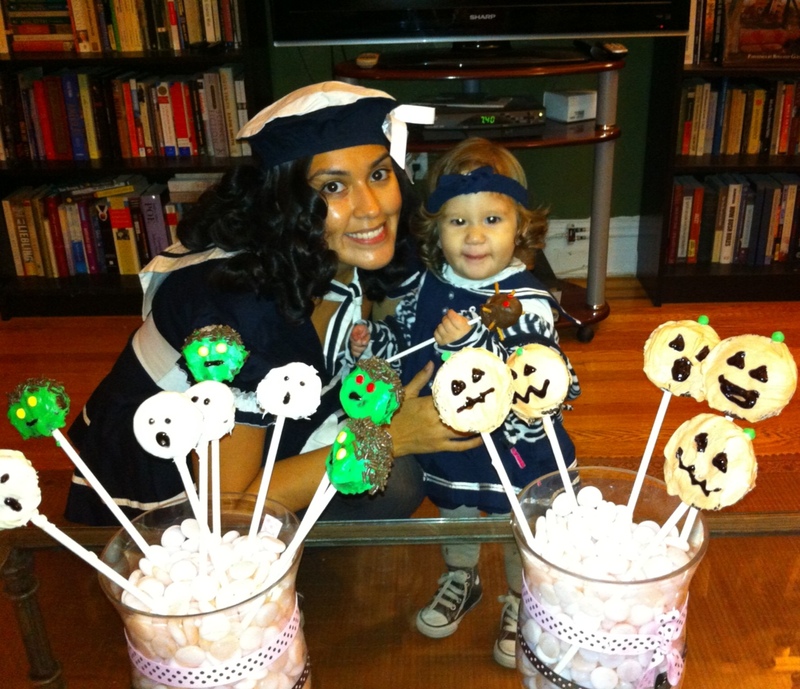 Below are a few images of my spooktacular creations. What do you think? 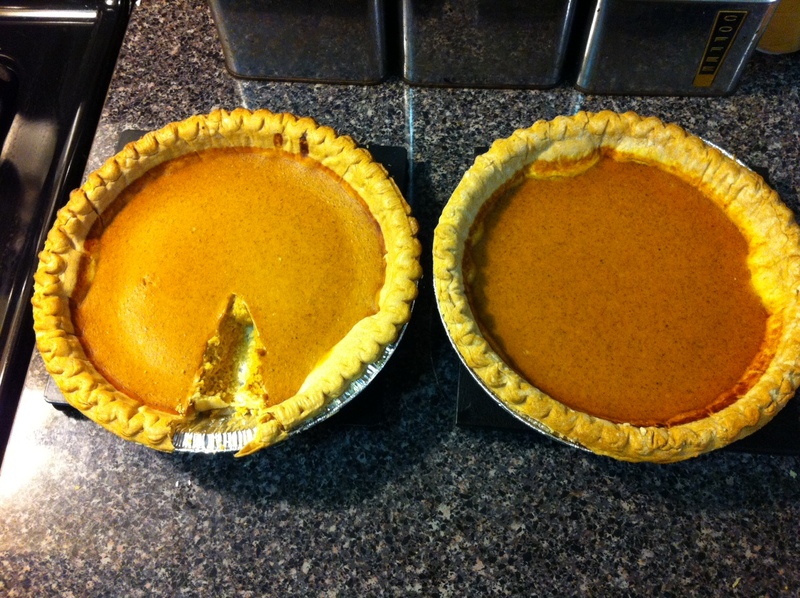 Convinced I had now become a baking queen, I went on to bake these two beautiful looking pumpkin pies. They’re gorgeous, aren’t they? Too bad I forgot to add sugar to my mixture! I wound up saving them by sprinkling sugar on the top of the pies before they cooled and serving them with ice-cream and whipped cream. What can I say? You win some. You lose some. Louis Vuitton Medium Agenda & 2014 Refill Review + What’s the Best Refill for You! Try the World: Japan + $15 OFF!